Check out Ellie's weekly Ecology and Climate Change News blog here. 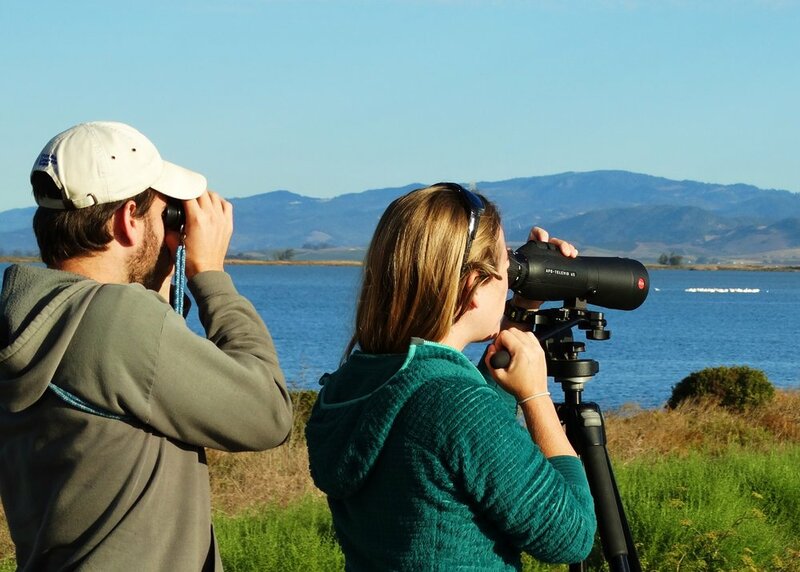 Bay Area residents deeply value the baylands for providing healthy bird and fish habitat, improved water quality, reduced flooding, and world-class recreational opportunities. Our community’s commitment has been demonstrated by the more than $500 million invested in wetland conservation and restoration since 1985 (as tracked by the SF Bay Joint Venture). This dedication was on full display when a supermajority of voters recently opted to tax themselves for more Baylands restoration in the face of accelerating climate change. these vital adaptation endeavors entail the least cost. We must also recognize that ecological change will be continuous, with sudden spurts of significant transformation. Studies of past geologic eras, for example, show that ecosystems shifted dramatically in relatively short periods of time. Today, we are already experiencing ecosystem transformations on a human time scale in Alaska and other parts of Earth’s polar regions where temperatures have warmed twice as fast as in the Bay Area. In addition, rising seas, storm events (e.g., “Superstorm” Harvey), drought and other climate change impacts continue to exceed what the science projected just a few years ago. Thus, the most resilient adaptation solutions will be those that are flexible and sensitive to a range of future scenarios, including extreme events at the highest end of what we know to be plausible today. The US Navy, for example, is now investing in strategies to address the more extreme scenarios. According to a Harvard Business Review assessment, the Navy is raising coastal infrastructure and “improving its ability to recover rapidly when damage occurs.” They are requiring “planners to provide additional justification when a new building is to be situated within two meters [6.6 feet] of sea-level-rise forecasts.” And, “buildings that pass this new hurdle must incorporate flood barriers and backup systems to withstand rising sea levels and storm surges.” While this “bets” approach may cost more initially, it will be essential to avoiding catastrophic outcomes from extreme and difficult to predict events. Future planning for the Bay Area would benefit from applying the Navy’s approach. For example, a recent UC Davis analysis of adaptation alternatives for the Highway 37 corridor, stretching from Novato to Vallejo, found that a levee embankment (making the road higher and wider to prevent flooding) would cost less than one third of a raised causeway. Given the challenges with funding transportation infrastructure improvements, it is understandable that planners may desire this alternative. However, the embankment would have the greatest negative ecological impacts of any of the alternatives considered. It might constrain other future restoration alternatives in San Pablo Baylands, and will not be resilient to the high end scenarios of sea level rise and storm surge events forecasted by scientists today. Caltrans directed UC Davis to only evaluate the costs of construction needed to prevent overtopping from three feet of sea level rise (plus a 100-year storm surge and three feet of wave run-up). This is now considered low based on the most recent science report from the state and other new studies. Based on these higher sea level rise projections, it is likely that the costs for the levee embankment alternative could increase substantially while the cost of the raised causeway alternatives could remain close to the same. The raised causeway options - or a bridge that would avoid the baylands entirely- would also re-establish hydrological connectivity between the baylands north of Highway 37 and the bay, reintroducing physical processes that facilitate natural adaptation to sea level rise and provide other benefits to people and wildlife. Sam Veloz, PhD, directs the Climate Adaptation Group and Ellie Cohen is President and CEO at Point Blue Conservation Science.